Designed with reliable performance in mind. Quality installation you can count on. Efficiency performance can improve up to 14 SEER with a matched energy efficient air handler or furnace with coil. Performance can increase up to 15 SEER more when installed with a matched energy-efficient indoor air handler or furnace with coil. Up to 16 SEER and 9 HSPF energy efficiency offers exceptional performance, saving more energy, lowering utility bills. 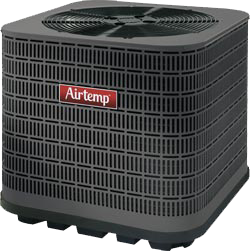 Two stages of cooling and heating capacities provide superior, quiet comfort and efficiency.